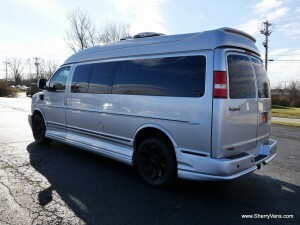 A used nine-passenger conversion van has numerous uses. Drivers in Piqua, Ohio, and the surrounding areas finding that they are perfect for transporting adults in comfort. 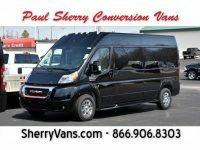 If you need to move a group of employees, your sports team, or just a bunch of friends around on a regular basis, a used nine-passenger conversion van from Paul Sherry Conversion Vans can be the solution. In addition to our excellent selection of new models, we also have a range of used nine-passenger conversion vans for you to choose from. At any given moment, you are likely to find different model years to choose from in addition to multiple makes and models. 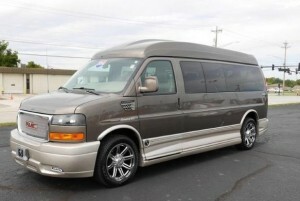 Expect options like the GMC Savana or the Chevrolet Express, both of which have excellent conversions for nine passengers. You will also notice a choice of engines, with popular options being the 6.0-liter V8 gas and a 6.6-liter V8 Duramax turbodiesel. 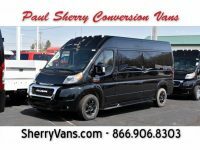 To help ensure that you can afford your used nine passenger conversion van of choice, we offer financing right at our dealership. Our finance department has experience working with drivers of all financial backgrounds, so you should be able to get an auto loan that meets your budget. Our wide range of vans also helps you stick to your budget, as you can choose the price range that is right for you. 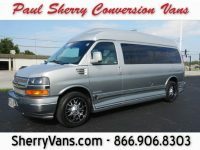 If you already have a used conversion van that you no longer need, consider trading it in for the used nine passenger van of your choice. We are always in search of used vans in good condition from relatively recent model years so we can expand our selection and offer drivers like you even more options. With a trade-in, you not only help other drivers like you find their ideal vehicles, but you can also save money on your purchase of a used van. For those who are not close to Piqua, Ohio, or do not feel up to the drive, we also gladly offer delivery. Just give us a call to get an estimate for this service. Otherwise, come visit our dealership to check out our used nine-passenger vans in person or browse our online inventory.